There was an official photoshoot in the morning. We also got to know the Kings and Queens of Kalahatty. The Queen of Kalahatty, Lena, is an impressive rider. She rides a Surly steel racer and rides hills like its a piece of cake. The King of Kalahatty, KKR, was in tears while receiving the red jersey. Lena receiving her Red Queen of Kalahatty jersey. 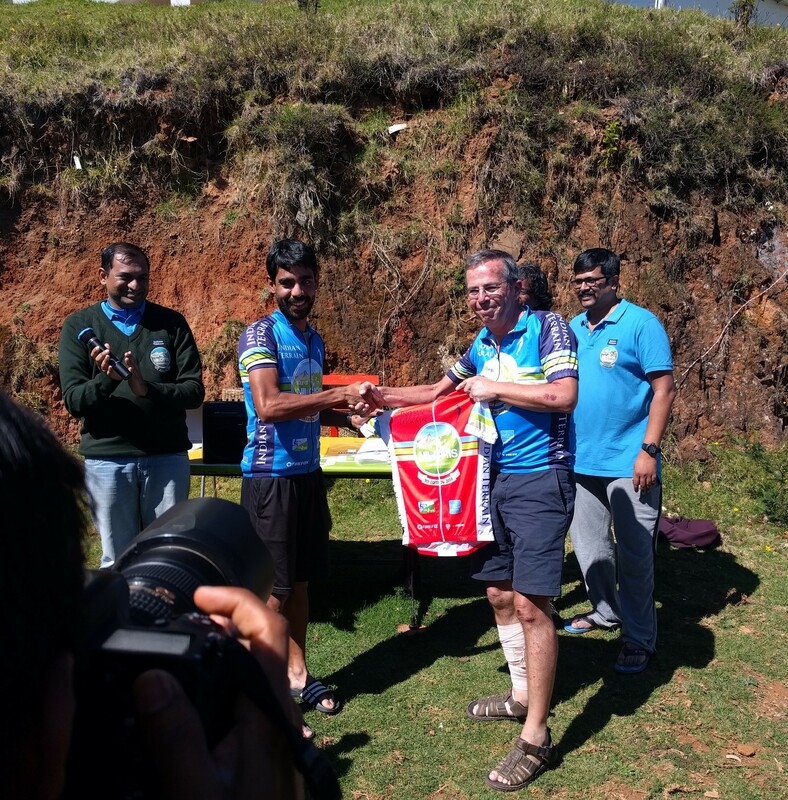 KKR receiving his King of Kalahatty jersey from Michael. Post photoshoot, I met up with a lot of people and exchanged stories. There was one rider on a touring bike. I wondered how he had managed to climb with that setup. I later asked him to which he replied that he hadn’t even attempted it. There was one rider who carried a spare MTB with ridiculously low gear ratios in his own support vehicle. That’s how he managed to do the climb. In the end, it all boils down to the physical and mental strength. It’s not about how much one has spent on some pro-level carbon frame and the lightest pair of carbon wheels, it’s about the strength. If one has physical strength, he would be able to draw out the mental strength needed to do such a climb. Manjeet, my roommate, had the seventh best timing. He is on a bike that’s not even well fitted to him. He is riding for Firefox and they should have taken more care of him. I also got to know more about the serious accident. Michael, the rider who was injured, recounted what had happened. A car drove on the wrong side, rammed the railings and then rammed the other side. There wasn’t anything serious but some road rashes and some sprain in his leg. TfN 2016 is over for him. Two riders, who had stopped to help him out, at the risk of losing the GC, were given exceptions. In the end, it’s not a race, it’s a tour. 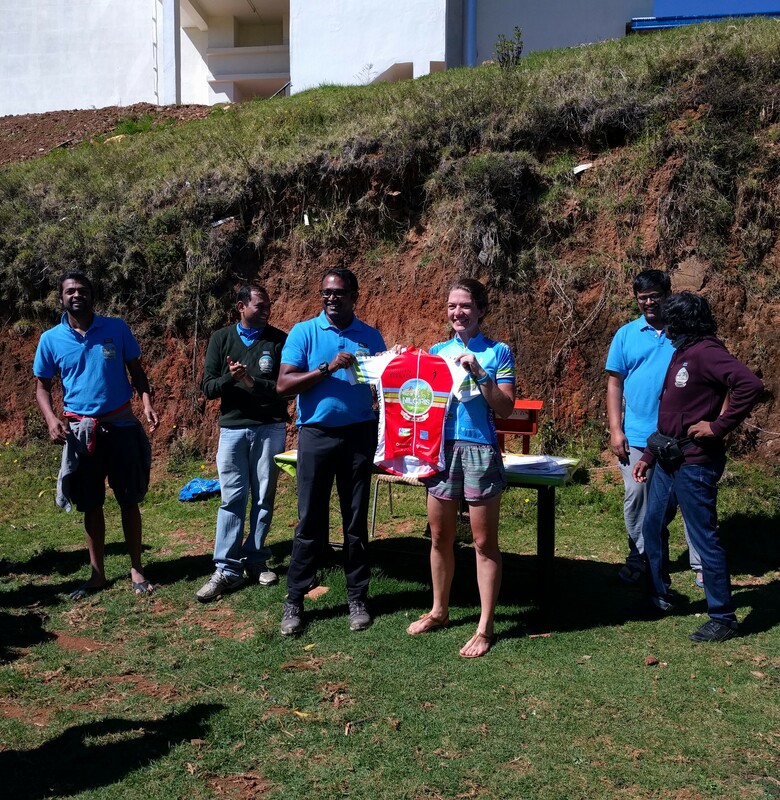 Few of the riders, especially those who are active in the racing circuits, had gone out after the photoshoot to attack some other climb near Ooty. They called it recovery ride. These guys are crazy. My strategy was simple – eat, rest and recover. Tomorrow is not going to be easy. While we were having our dinner, the organisers briefed us about tomorrow’s descent and reiterated the importance of safety. The descent will be a technical one and the overnight condensation would make the road wet and slippery. There would be incoming traffic, too. We were asked to be in groups of 20. A support car would lead us at 30 kmph. We were asked to keep safe distance from other bikes. Regarding braking, we were asked to constantly feather and always brake before a corner and never at it. Hotel Highland Accord’s food is excellent (or maybe I am too hungry to judge the taste). However, I am disappointed with the WiFi. They are not well equipped to handle a large group. Posting these blogs has been a real test of patience. I have uploaded all the photographs for yesterday and today’s blogs via a 2G connection on my Vodafone. Tomorrow is going to be no different.